If you and your significant other separate, there are many things to consider if you have children. One of the most important factors is child custody and visitation rights of both parents, as well as third parties involved in the lives of the children. The Texas Family Code helps outline factors to consider, how the schedule is made, who may get more time based on things like availability or business travel, as well as school breaks and holidays. When caring for a child during your visitation period, the parent is responsible for care, control, protection, as well as providing for shelter and healthcare. Parents can work together to make a parenting plan in which they outline possession and access to the child or children, as well as who gets specific holidays. The presiding judge will review the parenting plan and enter it into court if they see it is fit. In the event you cannot agree, the court will access both parents’ situations and order what they see as fair for the child and for the parents. 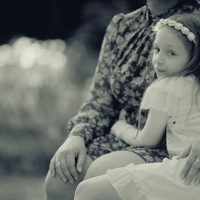 In the event you think that your former partner is no longer providing proper care for your child while in their custody, you may seek a modification of the child custody or visitation order by a showing of a number of factors. The court will only modify the order under very limited circumstances, and will put the best interests of the child first. Next the court will modify the order if one of these things are proven: determination of whether the circumstances of the child or parent have changed substantially since the agreement was entered into, if the child has expressed to the court that they seek the agreement to be changed and they are over the age of 12 years old, or whether the custodial parent gave up child’s care and custody to another. If the child expresses the desire to have the order changed, the child will be interviewed individually, however, the court will still look at the situation as a whole and determine if that is truly in their best interest. The older the child is and the more substantial the reason for the modification, the more likely the court will take into account the child’s wishes, as this is intended for their best interest. Are You Seeking to Modify your Child Custody Order? Child custody orders are supposed to be for the best interest of the child, however, sometimes one parent is not able to properly perform their functions as such. If you or someone you know is seeking to modify their child custody order due to changed circumstances of the other parent, our office can help today. The experienced Houston lawyers at Lindamood & Robinson, P.C. are available to assist you immediately.